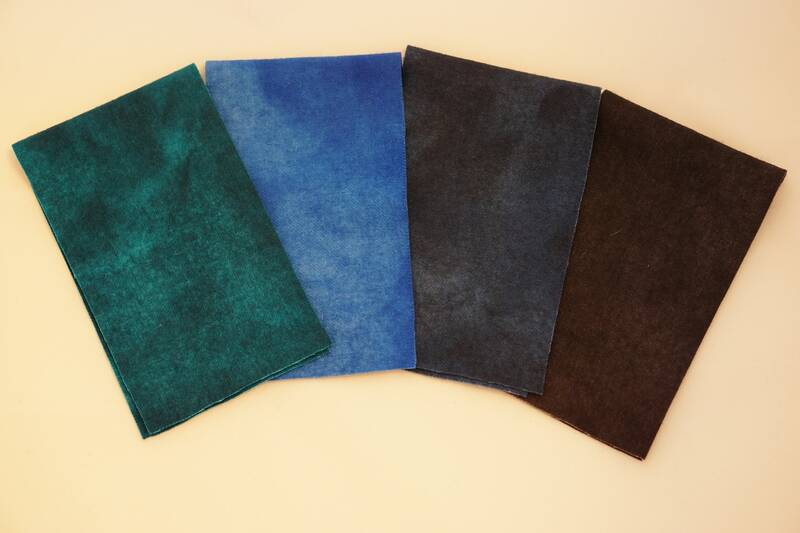 Four pieces of beautiful shades of dark navy blue, merino blue, teal blue and black hand dyed %100 Wool Felted Fabric measure approx. 16"x5" each (Size is measured after shrinkage with processing). 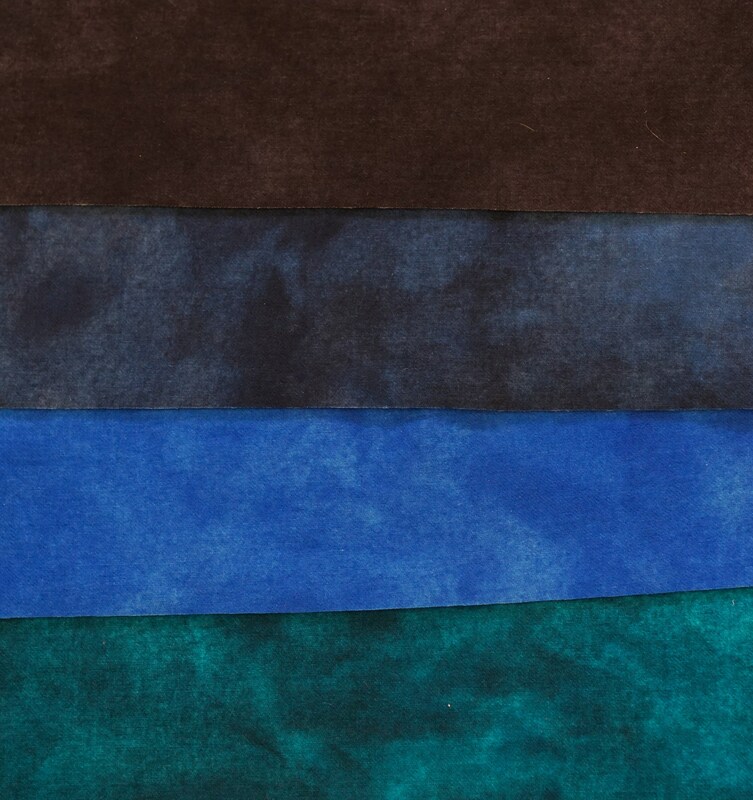 To achieve the depth of color in the fabric these pieces were hand dyed with high-quality acid dyes. This rich gradient of mottled navy was established by using a palette of primary colors to guarantee the rich flow of color throughout each gradient. Your will receive one of each color. 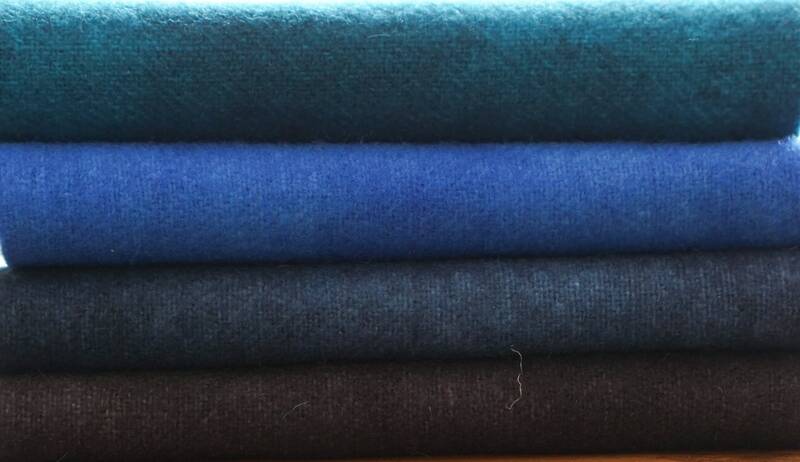 100% woven Woolrich wool, 12 to 13 ounces per linear yard (57" wide). Bundle over one fat eighth. 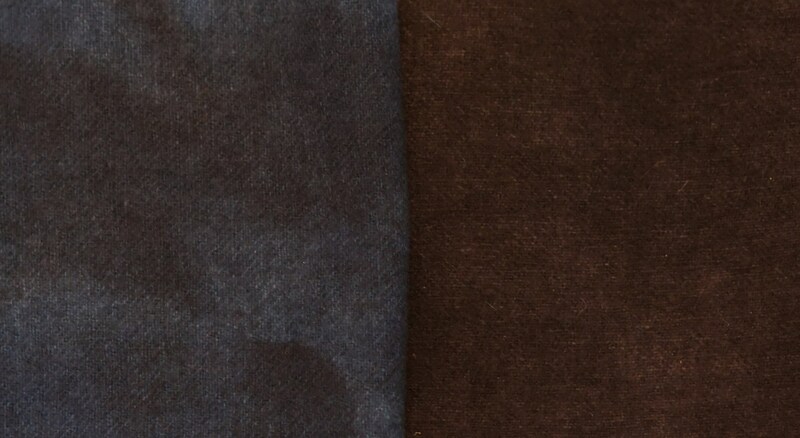 This consists of 4 values of deep navy. Don't see what you need in my listings? Drop me a note! 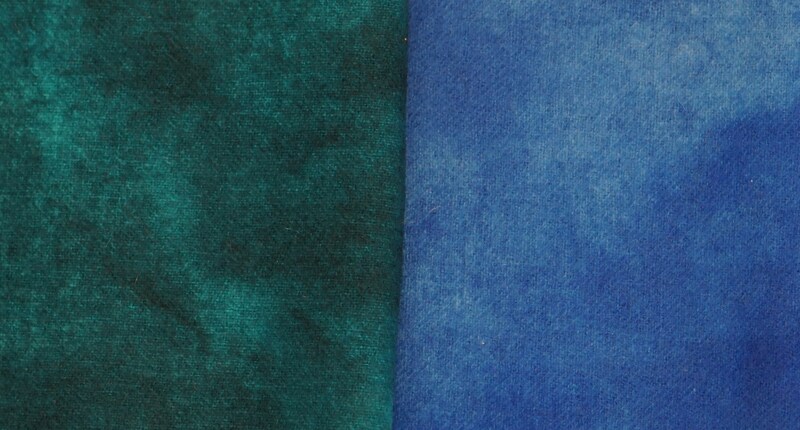 I love to hear from fellow quilters and fiber artists and am delighted to fill special orders.